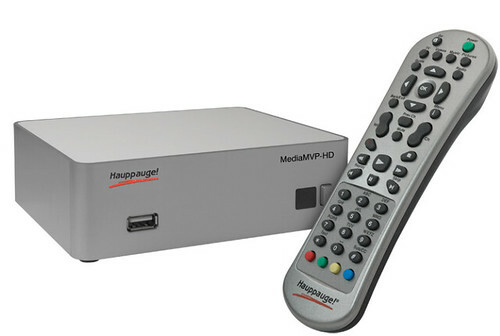 It’s been a whole fourteen months since we mentioned it, but Hauppauge appears to finally have their MediaMVP-HD Media Player ready for the masses. 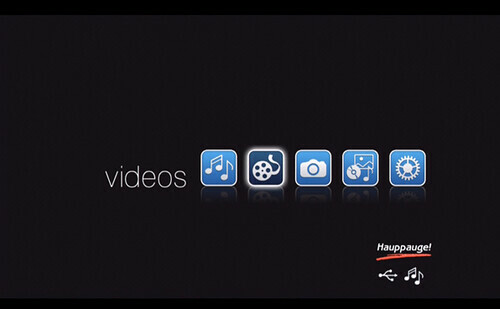 Hauppauge is the company that brought us many HTPC tuners and devices (Hauppauge HD-PVR anyone?) and also was the company who brought us the now aging MediaMVP media player. This media player is a new, HD-ready version called the MediaMVP-HD. The MVP-HD is set to compete with comparable stand-alone media players such as the WDTV, D-Link, Asus and many others that work to connect media from your home network or USB drive to your TV. It appears to handle all the popular file formats including DivX, H.264 and many others. It has a built-in UPNP client to play from any UPnP servers including Windows 7. The MediaMVP-HD sports a Sigma 8655 processor running a Linux OS. It of course handles standard definition and high definition video up to 1080p. Video output: HDMI, Component high definition out. Composite, S-Video standard definition out. HDMI formats: 1080p, 1080i, 720p, 720i, 480i, 480p. 120Hz, 100hz, 60hz and 50hz. Outputs NTSC and PAL video, software selectable. Briteness, contrast and saturation adjustment. I don’t have the suggested retail price or the ETA, but according to the Hauppauge experts at SHSPVR, it will be shipping very soon. UPDATE: Thanks to an anonymous tip, I found the MediaMVP-HD for sale Hauppauge MediaMVP-HD for sale at Amazon for $139.99 w/free shipping. Amazon has it listed as shipping within 1-2 months, but I’m guessing it will be much, much sooner. Speaking of SHSPVR, if you’d like to get your hands on one of these MediaMVP-HD’s for free, head to the SHSPVR forums to enter for a chance to win one of five he has available for giveaway! Get over there by May 15th when the contest ends.